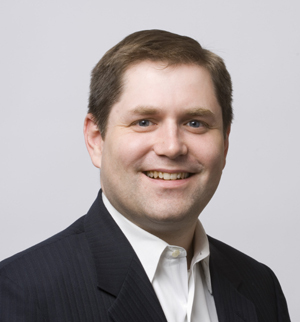 Jay leads product strategy within IBM’s Cross-Channel Marketing team. 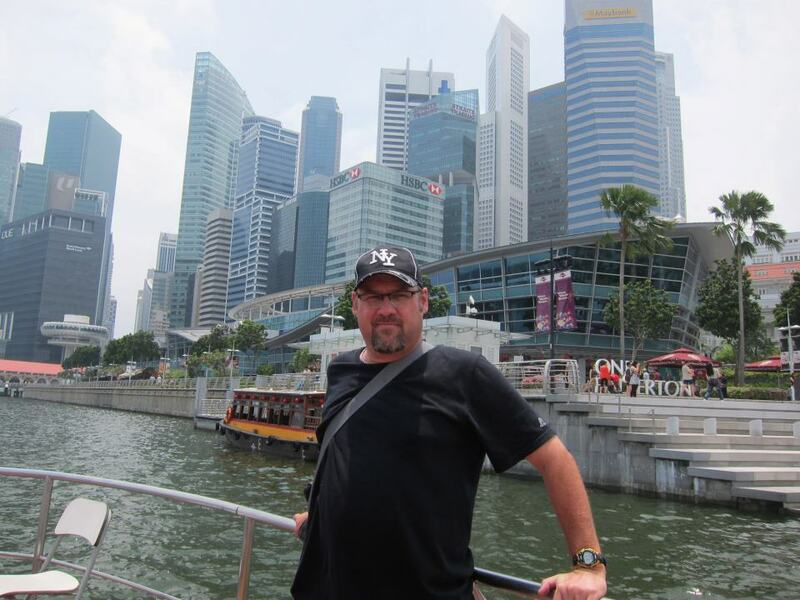 His team is responsible for market analysis, customer insight, and industry marketing functions. He came to IBM through its acquisition of Unica, and has over fifteen years’experience in multi-channel marketing and customer analytics. Previously, he served in various marketing roles at predictive analytics leader SPSS (also part of IBM), web analytics pioneer NetGenesis, and management consulting firm Cambridge Technology Group. Jay holds degrees from MIT’s Sloan School of Management and the Sorbonne (Paris IV). Jay Henderson has been there, done that, and got the t-shirt when it comes to marketing analytics…one he probably bought online. Currently the strategy program director at IBM Cross-Channel Marketing, Jay’s team is responsible for market analysis, customer insight, and industry marketing functions, and I had the privilege of sitting down with Jay last week at the IBM Smarter Commerce Global Summit to talk many things analytics. Jay’s heritage pre-dates his tenure at IBM, joining Big Blue through its acquisition of Unica. Jay has over fifteen years’ experience in multi-channel marketing and customer analytics, and prior to joining Unica, he ran marketing for text mining pioneer ClearForest, the technology from which was later acquired by Thomson Reuters. Jay’s most recent claim to fame has been the preparation of the IBM “Holiday Benchmark,” a near real-time analysis of the e-commerce retail activity during the annual holiday shopping season. If you want the inside skinny on Black Friday, Cyber Monday, and other key shopping inflection points, the IBM Holiday Benchmark provides some excellent benchmark statistics. During our chat, Jay also made some news when he revealed that IBM is also going to be issuing soon some new reports, including a “back to school” retail analysis. So, wanna know about major trends in the e-commerce realm? Watch the interview with Jay and find out! Resorts World Sentosa in Singapore will play host to a new, first-of-its-kind IT event in Singapore this October 9-11, where smart businesses from around the globe that have been busy implementing new business and IT strategies will come together to network with IBM clients, industry experts, and IBM thought leaders and learn how they’re converting opportunity into outcomes. It was a big day today in Singapore, where the country celebrated its independence, and where government leaders encouraged Singaporeans to make even more Singaporeans, in order to counter the country’s declining birthrate, which is among the lowest in the world at 7.72 births per 1,000 people. I’m sure a few Singapore Slings may have been consumed, and I would have been right there with them, as the Raffles Hotel is definitely on my list of places to frequent for when I visit. And that will be sooner rather than later, as IBM is going to be hosting a new, first-of-its-kind event at the Resorts World Sentosa this October 9th-11th. This new IBM event will share with attendees the breadth of IBM’s integrated software and systems solutions capabilities, and demonstrate IBM’s strategic perspective on becoming a smarter busienss that excels in turning opportunity into outcomes in this new era of computing. At the event, IBM will focus discussions on a variety of key “hot topics,” including those focused on speeding innovation with mobile computing, defending against cyber-threats with security intelligence, rethinking IT with cloud computing, and a host of others. Networking. You’ll have the opportunity in Singapore to network with peers, industry experts, and IBM thought leaders from around the globe, including IBM customers already collaborating to better align business and technology investments. Learning. You’ll have the opportunity to learn from experts in our Solution Center, as well as through a personalized agenda of keynote session, “Hot Topic” sessions, and Exchange sessions built around your business interests. Delivering New Value. At IBM Interconnect, you’ll become one of the first to learn how to manage the velocity of change from real world examples of business delivering new value to the people they serve. Unleashing Innovation. You’ll also have the opportunity to begin to understand the new economics of IT, and how to use technology as the catalyst for unleashing innovation in your organization. Uncovering New Markets. And finally, in an environment where most every organization is looking for new customers in new markets, you’ll have the opportunity to start to develop a clear plan of how you can reinvent relationships with yoru customers and workforce and, in turn, start to uncover those new markets. Rapid change has become the new normal, as entire industries are now transforming to deliver compelling new value to their customers. In this era of interconnected industries, businesses and consumers, a new kind of leadership is required to turn opportunity into business outcomes. Smarter businesses are capitalizing on information as an indispensable resource and using technology as the catalyst for unleashing innovation. They are expanding the digital world of the back-office into the front-office and the corresponding business infrastructures that are at the heart of business leadership and operations; the key interconnection points among consumers, business partners and employees. You can start by first going here to register, then heading on over to the Session Preview Tool to start scanning the sessions to make sure you get the most out of your visit. If you’ve never visited Singapore, I can’t recommend it highly enough. It’s like visiting a future that has already arrived, and in the meantime, you’ll have the opportunity to attend an IBM event that’s intended to help you create a future looming just over the horizon. To my fellow lovers of the links: All this London Olympics fervor has been slowly sinking in, and as I watched Jim Furyk hand Keegan Bradley the keys to the WGC-Bridgestone kingdom on the 18th green this past Sunday, it reached a fever pitch: Golf is coming back to the Olympics. A brief bit of history is in order: The last time golf was featured in a Summer Olympic Games, Henry Ford’s Model T had not yet come off a production line. Yes, it’s been that long. 1904, in fact. Canada’s George Lyon was the last Olympian male to take a gold medal in golf. When golf returns to the Summer Olympics in 2016 in Rio after a 112 year hiatus, it will be a much welcomed return for golf fans around the globe. The International Golf Federation (IGF), which is the governing body overseeing golf’s return to the Olympics, proposed a 72-hole stroke play tournament for both the men and womens’ events in 2016, with a 3-hole playoff in the event of a tie. Eligibility for the tournament would be determined by IGF rankings, with the top 15 players being eligible regardless of country, and then the next 45 players representing countries that didn’t already have two representatives. And if you’re curious as to the designer, and designer, for the Rio Olympics course, check out this article on 48 year-old golf architect Gil Hanse, a “traditionalist” course designer known for his work at TPC Boston and Castle Stuart in Inverness, Scotland. As to the FedExCup Standings thus far, after Bridgestone, Tiger Woods is still in the lead. The next several behind him include Zach Johnson, Jason Dufner, Hunter Mahan, and Bubba Watson, all of whom are pretty much neck in neck. Bradley jumped up to 7th place after his victory. This week’s PGA Championship at the Ocean Course in Kiawah Island, South Carolina, has some big stakes — and I don’t just mean the PGA Championship trophy. The Ryder Cup is just around the corner in Medinah, and U.S. Ryder Cup captain Davis Love III will not only be playing the PGA — he’ll be scouting his captain’s picks. PGATour.Com has Phil Mickelson “on the bubble,” and explains players like Zach Johnson, Steve Stricker, and Hunter Mahan will be right on his tail. The PGA Championship is the season’s last official major, but with the Ryder Cup looming ahead, there’s still plenty of great golf to be enjoyed before football season takes over (and baseball winds into the playoffs). Turbo recently invested in a TaylorMade “Rocketballz” driver to fill out his golf bag, and based on his experiences thus far, swears that everything they’re saying in the TV commercials thus far is true! As for my own game, I have to admit, the Taylor Made Rocketballz driver I recently bought has been a godsend. I played a course in Frisco, Texas, this past weekend that required some serious needle threading off the tee box. Normally, I would be paranoid about such tight drives, and would panic hit them left, right…everywhere but center. But with a minor swing adjustment where I keep my elbows closer to my body through my swing, I hit 13 out of 14 fairways this weekend (Note: I didn’t have to use my driver on the par 3s, thankfully 🙂 ), with most going straight and long…I’d say an average of 15-25 yards longer than normal. Straight and long, the most beautiful phrase in golf. However, I’ve plateaued in my mid-iron game, and could also use some help around the greens, so I’ve decided to take a golf school vacation. I’ve been thinking about it for years, but it’s time to commit. The Academy of Golf Dynamics is located right here in Austin, and despite the 100+ heat, I’m hopeful the three-day course will help me work out those few kinks that are really keeping me from consistently lowering my score. Their Web literature indicates that most players who follow their guidance and do the follow-up work achieve a 25% reduction in their handicap. I spoke with one of the instructors there on the phone, and he explained the summer workshops don’t quite fill up as much as the spring, so if I’m willing to beat the Texas heat, I’ll get more than my fair share of personal instruction. I’m certainly going to give it a try. Golf is something you can never master, but it IS certainly something you can always improve upon. And for those of you who play consistently, you know that improving and hitting those masterful shots you always knew you could hit in your mind is what keeps you coming back for more. So, I’ll be sure to take some notes in case any of you out there are considering such an investment and let you know how it goes. Right after the three days of the workshop, my 70 year-old, 10 handicap father (I’m a 13), is coming in to town and we’re going to take a week straight and play some of the best courses in and around Austin to see if my investment in the workshop will have paid off! Moving forward, I’m also going to try and more consistently use an iPhone app (“Golfshot GPS”) to track my play so that I can better understand precisely where and how I’m losing the most strokes. Business analytics on the golf course? Hey, whatever it takes. Here’s the deal: I’m your new IBM blogger. I know your purchase order didn’t mention anything about getting a blogger, but one of our recent market research studies indicated that you wanted one, and I happened to be standing in a hallway in Armonk with a red target painted on my forehead. As for my day job, you can read my bio above, and I’ll likely be writing more about what I do at IBM here in future posts. However, I keep pretty current on the Blogosphere, and the average life expectancy of the corporate blogger has recently dwindled close to that of the average fruit fly. I figure that now that I’ve started blogging, I’m out of here within the next few hours. It seems a few hours has quickly evolved into seven years. There are a lot of great things about having made this investment in time and energy, but I’m realizing quickly that the best thing about having done this is that I have a record of musings from those past seven years, observations about everything from golf to economics to the business of technology and topics beyond. Though I was going out on a bit of a limb when I started, I also recognized the blog could potentially create a wealth of other new opportunities. Opportunities to have my posts syndicated to other vehicles (which it has), opportunities to meet new people (which it did), and even opportunities to travel to far away lands and write about what I saw (which it also did). But mostly, it gave me the opportunity to exercise my God-given talent of writing, a skill for which I am and have always been most grateful and for which this blog has given me a steady platform for its practice. So happy blogging anniversary to me…and if you’re still reading this, thank you for sticking around. If you’re in the business of making decisions…or if someone in your business supports you through decision making…then you’ll probably want to take note of an announcement IBM just made to help bolster decision making capability using analytics technology. “Big data” is the digital convergence of structured and unstructured data. Those organizations that can capture and analyze their data, regardless of what type, how much, or how fast it is moving, can make more informed decisions. Yesterday, IBM announced new predictive analytics software that automatically correlates and analyzes big data to help clients embed hyper-intelligence into every business decision. In addition to generating insights on internal data in a matter of seconds, the software measures the impact of social networking channels and factors this information into organizational decision making. The software represents a new class of “decision management” capabilities that revolutionizes the way organizations gain, share and take action based on information gathered as part of business processes such as marketing, claims processing and fraud detection. In these, and other data-rich areas – where anywhere from a thousand to five billion decisions are made daily – the software will put forward the next best action to front-line employees ensuring optimal interactions and outcomes. Companies across all industries are increasingly under pressure to drive immediate and repeatable results with fewer resources, react more swiftly to rising customer demands, and gain faster insights on business data. These pressures are challenging organizations to strengthen their approach to decision making, and forcing organizations to act not only corporate policy and gut instinct. For example, according to a Columbia Business School Center Global Brand Leadership report, 90 percent of senior corporate marketers believe that successful brands use customer data to drive marketing decisions. Yet 50 percent say that a lack of sharing customer data within their own organization is a barrier to effectively measuring their marketing efforts. 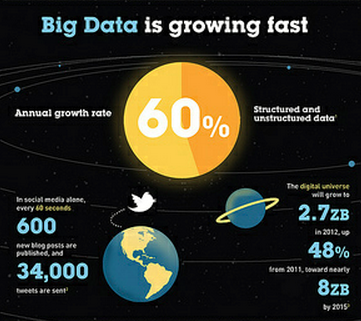 Compounding these challenges is the variety, velocity and volume of big data which is growing at record rates. According to IDC, the decision management software market is expected to exceed $10 billion by 2014. “In today’s marketplace, when a customer says they’re not happy, companies must decide how to react — not later that day, or in an hour, but instantly,” said Deepak Advani, vice president business analytics products and solutions, IBM. The new Analytical Decision Management software, part of a series of IBM Smarter Analytics initiatives, helps clients apply automated, real-time analytics into any operational data no matter where it resides, and instantly analyze it to uncover trends and expose hidden paths to growth. As a result, insights can now be automated, socialized and used for predictive decision making. In a single platform, IBM has combined the power of business rules, predictive analytics and optimization techniques through intuitive interfaces that allow users to focus on specific business problems. The resulting decision can be consumed by existing pre-packaged or custom-built applications, including many applications on the mainframe. The platform also takes advantage of IBM InfoSphere Streams technology where big data can be analyzed and shared in motion, providing real-time decision making in environments where thousands of decisions can be made every second. IBM is also extending the powerful analytical functionality with the inclusion of its newest entity analytics capabilities. For the first time, businesses can take advantage of entity analytics as part of the decision management platform. This feature, especially well suited for big data environments, is a unique analytics engine that enables identification and matching for all entities – people, places, or things – making systems smarter as more information becomes available. Unlike traditional methods, the IBM entity analytics capabilities are context based and accumulate knowledge, resulting in a more accurate picture, better models, and better outcomes. This ability to understand how the data is related delivers higher quality models and helps to ultimately produce smarter decisions. A new social network analytics feature enables companies to take sentiment analysis a step further by analyzing who the influencers are around any given topic, who exactly is listening, and why people should care. This feature enables decision makers to factor in how customers behave, what they say, and how big their sphere of influence is in a social network. For example, which other customers does this person know? Does this person influence others in their social network? The ability to incorporate social network analytics into the predictive models used in analytical decision management helps organizations identify social leaders who can influence behavior. IBM client C Spire, a leading telecommunications service provider, is using IBM analytics to get closer to their customers by better predicting customer behavior and intervening before a problem ever arises, making their service and experience more personalized. “The benefits we are able to see from using this advanced IBM analytics technology will give us the ability to put the right message in front of the right customer at the best time and in the best channel,” said Justin Croft, manager marketing campaigns and promotions, C Spire. This recent announcement builds on the recent release of IBM’s operational decision management software, and represents the first time that both analytical and operational decision management are provided to clients jointly on one platform. The news is part of IBM’s larger focus on business analytics and optimization, which spans hardware, software, services, and research. IBM projects $16 billion in business analytics revenue by 2015. To meet that target, the company has established the world’s deepest portfolio of analytics solutions, growing its business and industry expertise to approximately 9,000 business analytics and optimization consultants and 400 researchers, and created global analytics solution centers in Berlin, Beijing, Dallas, London, New York, Tokyo, Washington and Zurich. IBM has acquired more than 30 companies to build targeted analytics and information expertise and continues to expand its ecosystem, which today consists of more than 27,000 IBM business partners. IBM has also secured hundreds of patents a year in analytics. These investments have enabled IBM to develop breakthrough technologies like IBM Watson, a new class of industry specific analytical capability that uses deep content analysis, evidence-based reasoning, and natural language processing to identify relationships buried in large volumes of data that can be used to improve decision making. Go here to learn more about IBM’s Analytical Decision Management technology. You can also following the ongoing discussion around IBM and entity analytics on Twitter via the following hashtags: #smarteranalytics #ibmbigdata and #decisionmgmt. Well, I’m back from the Watson Bubba team’s participation in the Denton Country Club Member-Guest golf tournament. My dad was the member, I was the guest. We fought a valiant fight, especially the first day, whereupon it rained down on us our entire round. Day 2 (Friday), Bubba Watson Jr. (Me) was prepared to give a clinic the first six holes, shooting 4-4-4-4-4-4. But as I joked in the 19th hole later on that day, “golf struck” — as in, golf reality — and it was a roller coaster from there on in. I shot a nice, well-rounded 88 both day 2 and day 3, and Watson Bubba Sr. (My dad) shot in the low 80s. It was just enough to give us a piece of the pie, whereupon we took third place. The most important thing was, my dad and I got to spend some quality time together, and I took the luxury of a few days of not working or blogging, really my first all year. So let me pick up the ball where I left off, so to speak. From a sports perspective, it was an almost overwhelming weekend to keep track. Saturday saw the kickoff of the Euro 2012 Soccer Championship, with host country Poland forced to take a 1-1 draw against Greece after both teams lost key players to red cards. Russia crushed the Czech Republic 4-1, Denmark beat the Netherlands 0-1 in a surprise win, and Germany eked out a 1-0 victory over Portugal, although I was certainly expecting more in the first game from the Germans. Spain and Italy probably fought one of the hardest matches of the weekend, ending up tied 1-1. On the agenda today are France v. England and Ukraine (another host country) and Sweden. If you’re a soccer fan, crank up that DVR and get those pizza coupons ready, there’s plenty more to come and it lasts three weeks! The Belmont Stakes saw its 144th running, but without Kentucky Derby and Preakness winner, “I’ll Have Another,” who had to retire from racing Friday afternoon due to a tendon injury. No Triple Crown winner this year, but boy did Union Rags go from rags to riches in that photo finish a neck ahead of Paynter in the Belmont Stakes Saturday afternoon. On the ice, NHL’s Los Angeles Kings lost more momentum back in the New Jersey Devils home stadium, and now return to the Staples Center tonight in LA looking to finally close the series they lead 3-2. On the boards, of course, the Miami Heat return to the NBA Championship two years in a row after deflating the Boston Celtics Saturday night, this time in a matchup against the Oklahoma City Thunder, whose league scoring champ Kevin Durant will face off against league MVP LeBron James. And back on the Links, the FedEx St. Jude’s Classic was being played in Memphis, and Irish golf phenom and U.S. Open defending champion Rory McIlroy was playing beautifully and leading the tournament up until near the very end before Dustin Johnson, who had to dust himself off after being out over two months due to a jet ski injury, made the game look simple and win with a −4 under 66 in the final round. All this just in time for the 2012 U.S. Open this week at the Olympic Club in San Francisco, which I aspire to blog quite a bit about here over the next week!